Celebrating 30 years, with heart! Please click here for a Google Map and directions. The Full Moon Folk Club is a non-profit society managed by a small group of dedicated volunteers. We are committed to producing folk music events which feature top quality acts as well as up and coming artists in a comfortable club setting - all at an affordable price. The Full Moon Folk Club is very proud to offer the best Canadian and International folk music acts in a smoke-free club setting with seating at tables. Breaks between sets allow time for socializing and indulging in perogies or other snacks and liquid refreshments including wine and beer. Please join us, bring a friend and enjoy a fine evening! Showcasing some of the best local and international talent we are pleased to present our 30th season. Our friendly, comfortable and smoke-free venue is a great way to enjoy an evening with friends and family. For more info & package purcases please call (780) 438-6410. Sheila Carabine & Amanda Walther are Dala. The sheer joy with which they perform is infectious, turning first-time listeners into instant fans. Their songs are catchy and insightful, their harmonies angelic. 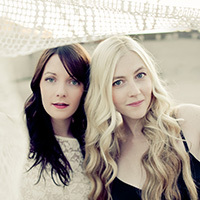 These darlings of the Canadian music scene bring a totally fresh brand of acoustic pop sounds to all their live shows. A show not to miss. 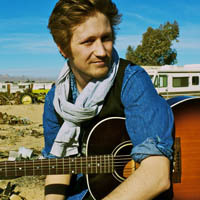 Del Barber is an important part of the newest wave of Canada's songwriting talents. He sings from the heart about his prairie roots, telling tales from the road, and of the people he has met along the way. His latest album Prairieography granted him his second JUNO nomination, and was 2014's #1 on the !earshot charts. Del will be performing as a trio. 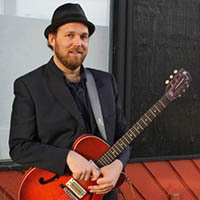 Albertan and perennial favorite Steve Pineo and his band, along with the Heebee Jeebies will be our closing act. Sing along, dance, laugh, cry... just be sure to put on your party hats, and celebrate with us on this our grand finale show!